Being new to the city or being there only for a couple of days may leave you wondering what you should see whilst visiting Addis Ababa. We have some ideas for you! To inspire you about seeing Addis, we first want to show you our short video that we made for Go Addis Tours - you're invited to a virtual tour, check it out and scroll down for more ideas! 1. 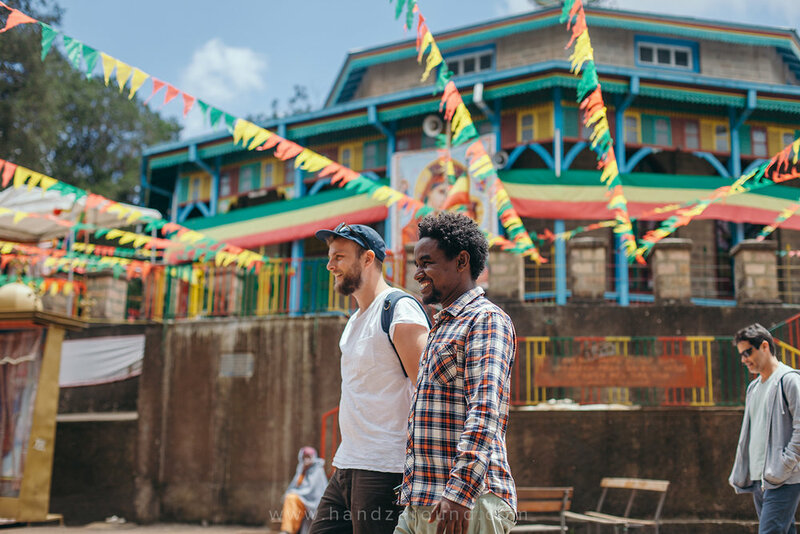 Go on a Food Tour with Go Addis! 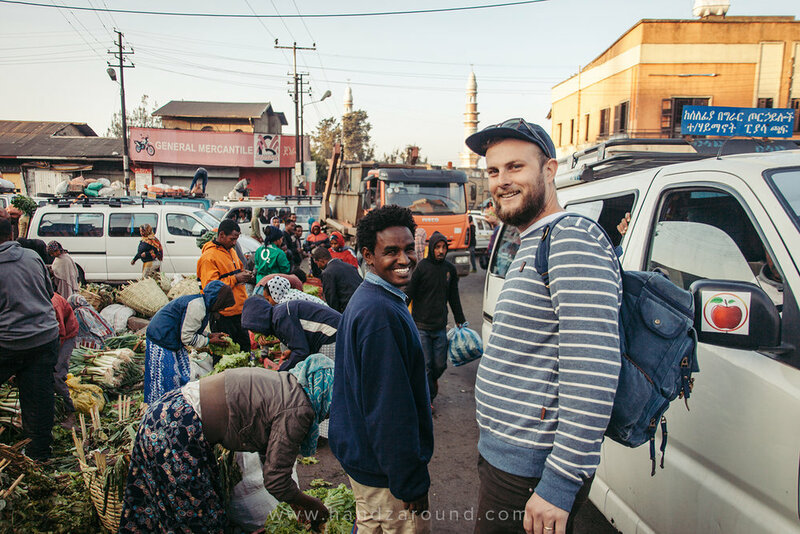 That's definitely our favourite experience in the Ethiopian capital. It's so much fun! Not only can you try a variety of different Ethiopian dishes, but you've got unlimited booze too, and usually cool people to drink it with. This is such a good way to start any Ethiopian adventure - on a Go Addis Food Tour you'll learn how to eat and what to eat. 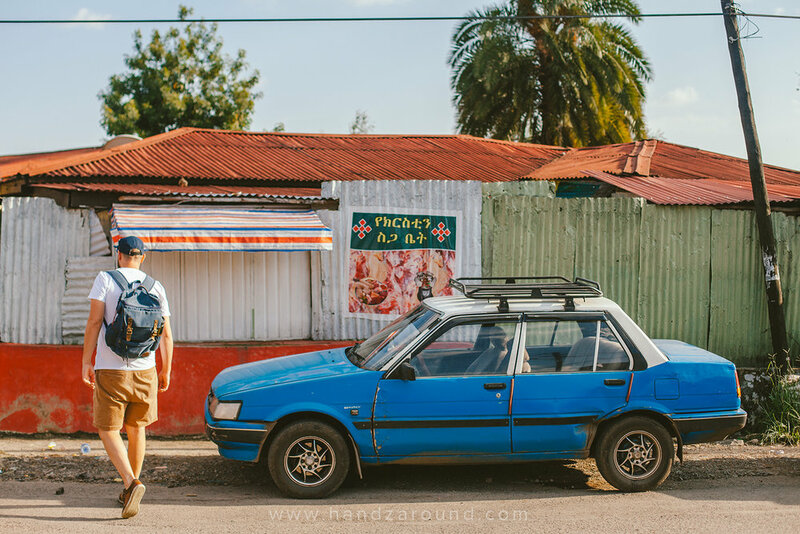 After that you can use your newly gained experience to explore the city and Ethiopian cuisine on your own! It's a great way to get some cool views of Addis Ababa, as Entoto Mountain is the highest point in Addis. At the top, you can walk around the colourful Entoto Maryam Church, and walk up to Menelik II's Palace located right next to it. The Palace is especially interesting as it's very modest - we have never seen a palace like that before! You can either see it on a City Tour with Go Addis, or if you want to venture out yourself, you can take a taxi, or ask around for local buses (but you will have to change three times if you go from Addis's centre). 3. Go to the markets. Shola Market and Mercato are places where the life is happening right there and then. Be prepared for a lot of people, new smells, colourful stalls and lots of noises! Shola Market is smaller than Mercato. The latter is the biggest open market in Africa, so you can imagine what happens there - pretty much everything. 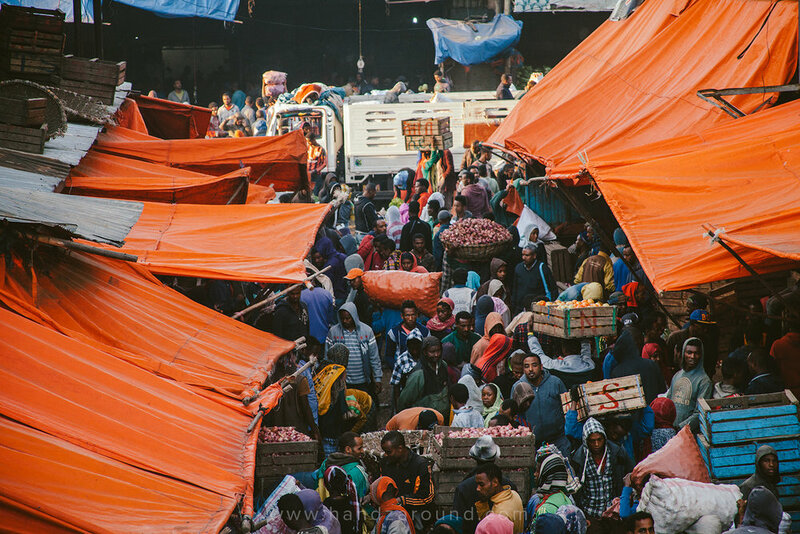 A great way to experience the markets in a pleasant way is to do it with Go Addis on their Sunrise Market Tour. Yes, it does involve waking up super early but it's so worth it - you get to see all the colourful vegetable transactions that happen in Mercato at the dawn. The light is beautiful, atmosphere exciting and at the end you get to eat yummy Ethiopian breakfast. Otherwise, we wouldn't recommend going to Mercato on your own during the sunrise - it's extremely busy at that time, and you need to know where to go and how to get there to be able to really experience it - if you are not mentally prepared and you're on your own, you might be more annoyed than happy that you went there. But if you're determined to go there yourself, try and get there about 8ish am where things slow down a bit. Be respectful of taking photos or you may get hit with a potato or tomato by someone who's not happy to be in your viewfinder! 4. Drink some traditional Ethiopian coffee – Bunna! If you didn’t already know, then you will quickly learn that all the coffee in the world originally came from Ethiopia. Bunna (the Amharic word for ‘coffee’) is a HUGE part of the daily life and you can see it being enjoyed almost everywhere across the country. Make your way to a local café to watch the coffee ceremony and get a freshly brewed cup of bunna that was literally roasted, ground and poured right in front of your eyes! 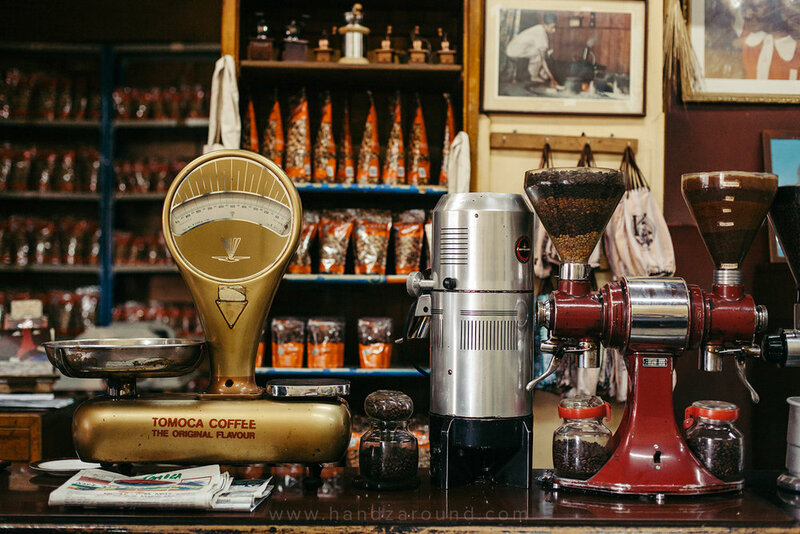 Or, head to one of the coffee chains like Khaldi’s (pretty much Starbucks but with Ethiopian twist and named after the farmer called Khaldi, who discovered coffee beans) or Tomoca (the oldest coffee shop in Ethiopia) to get your hands on the familiar latte or cappuccino. Drinking coffee is a very important social interaction and the whole process can last up to 3 hours! Make sure you have plenty of time on your hands, if a local invites you in for a cup of coffee. 5. Walk around the back streets. If you're after a low-cost activity, but something that's still cool, you can explore Addis's many streets. We spent some time walking around some of Addis's suburbs - Meskel Flower, Kirkos, Kazanchis, Bole. There are so many little cafes, bars and little businesses here and there, and there are some great photo opportunities. 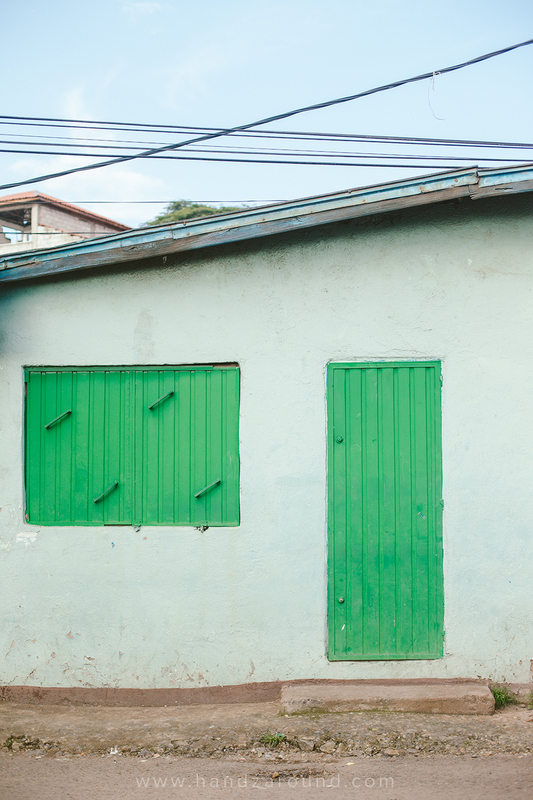 The walls of the low buildings are painted in all the beautiful colours and you can often find interestingly looking doors. And if you stop for a coffee or a beer in a small local venue, you will surely be the centre of attention, which means you'll definitely have a chance to chat to the locals. We were guests of Go Addis Tours but as always all opinions are our own.